Ideally matched with Audion range of Proton cables. 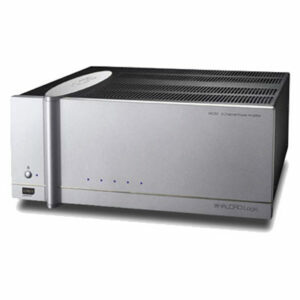 The Sterling is a good entry level printed circuit board Class A power amplifier at a very appealing price point. Integrated option (5 Stereo inputs is available) This pentode based EL34 stereo amp uses a small amount of feedback in the design. The chassis is black powder coated aluminum as is the transformer cover. The top plate and badge are mirror finished stainless steel. Audion Sterling stereo Integrated provides up to 5 line level input sources, highest quality source going into channel 1 for example your CD player, input 2 could be your DVD player, input 3 maybe a tuner or even a satellite box etc. 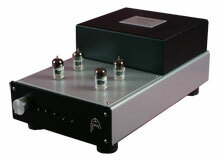 This is is our most economical, entry level amplifier. It’s built on an ultra high quality printed circuit board and, as with all our amps, is hand made. The volume control on the front and stereo inputs on the rear means that a preamplifier is not necessary with this unit. The amp is auto biased. It will take almost any EL34 (Unit is supplied with Electro Harmonix tubes) delivers a conservative 12 CLEAN watts into 8 ohms. Therefore, it has the power of competitors boasting 24-30W. 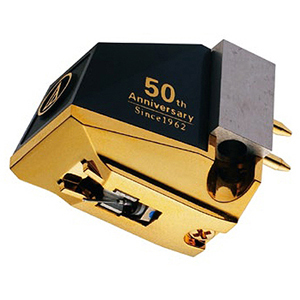 The Sterling is a very conservative rated power amplifier and musical straight out of the box. 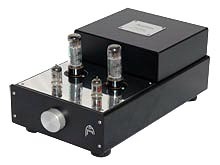 The Mk1 version is priced to get people into the door, aimed at consumers who want to try a tube amplifier, but are on a tight budget. Sound wise, however, it sounds far better than its price suggests. In most cases competing with products 1.5 – 2x its price point. This Sterling is suited for use with loudspeakers of 89db or better efficiency. Unit is New Old Stock, contact us for more details and images. 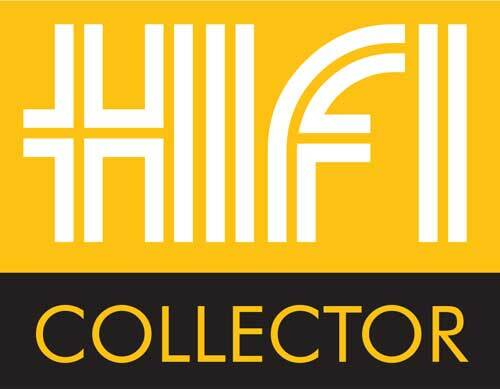 We are dedicated to providing the most musical audio systems available today. Our knowledge extends from easy to use all-in-one systems, to the most sophisticated audio reproduction possible.